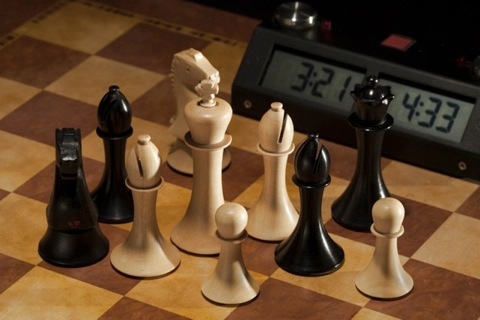 Inspired by the great 1849 Staunton design, these chessmen have it all. King size 3.75 inches (FIDE size 2), base diameter 40 mm. These are for play. No redundant design. It’s the 21st century. Hardened Slovenian maple and walnut. Extremely durable. No fragile parts. No sharp edges. Most durable on market by far. 7 point queen’s crown with curved spikes. 5 rook crenelations. Looks better than six. Four is for pussies. Felted with finest Croatian felt. Serially numbered white king. Tamper resistant serial engraved under felt. White king branded with GNovak trademark logo. Serially numbered certificate of authenticity. Ergonomic collars for grandmaster grip. Double weighted. More perfect weight to size ratio. Intricate carved knights. Details, man. Marked king’s side knights and rooks. Two words - old notation. Felted with genuine blue leather. Some like it slow. Jewelr y grade lock box. Pieces blessed by local church authorities. 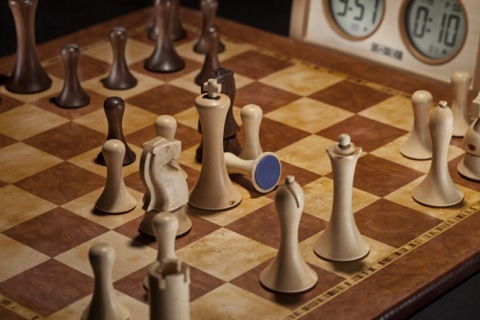 These are The Best Chessmen Ever.